Having adequate insurance for your boarding cattery business is essential for your own peace of mind. Your cattery is your living, if god forbid, it burnt to the ground you would need insurance, not only to rebuild it but to compensate you for loss of earnings. Buildings insurance is an absolute essential. The insurance companies that deal with this type of insurance are specialists. You will get a hefty questionnaire to answer. All the facts are relevant even down to the amount of cat food you expect to have in stock at any given moment. The business insurance should cover you for a complete rebuild, including all the internal fittings. The items covered should be buildings, stock/bedding/feedstuff and business interruption. You should also have cover for accidental loss, theft and/or malicious damage. You should also have cover under your policy for money stolen or lost (e.g. on the way to the bank) and some policies include a measure of personal insurance. The main thing is to read the conditions and terms of the policy thoroughly and be sure that everything that you regard as essential to your business is included. Is Insurance Needed For Boarding? Not all catteries have insurance cover for the cats in their care. It is not essential but for the piece of mind it brings the outlay is worthwhile. Some cats are already covered by insurance and that will cover any illness they might have while boarded with you, but it is always reassuring for the owners if they know that the costs of any treatment will be covered by your insurance, while their cat is in your care. You must take the insurance into account when you are fixing your fees, but you are not allowed to offer it as an optional extra. What Should Cattery Insurance Cover? There are specialist companies who deal with insurance for boarding establishments. You should check out one or two and make sure the cover offered suits your needs. Most importantly vets fees should be paid in full. Most companies will cover up to a reasonable amount. Vets fees are very high and if a cat needs blood tests or xrays you could soon reach the limit of your cover. Most cattery insurance will cover advertising and rewards if a cat escapes while in your care. Theft is also covered and the worse scenario of all for a cattery owner, death from injury or illness. You cannot insure against specific illnesses. Hopefully the most you will be faced with in the normal day to day running of your cattery will be the occasional upset tummy or runny eye. You would not ordinarily expect the cat to need much more than an examination and maybe a few antibiotics, however, without your insurance you will be faced with the decision of paying the bill yourself and probably losing all the boarding fee, or passing it on to the owner. The owner would probably pay the cost (they would have signed to that effect) but would they use your cattery again? Check that the insurance covers the cats for a short period when they have left your cattery. Sometimes a cat will show no signs of being unwell for twenty four hours after they have gone home. 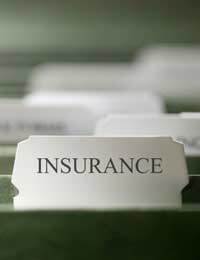 Most insurances will cover up to a seventy two hour period.